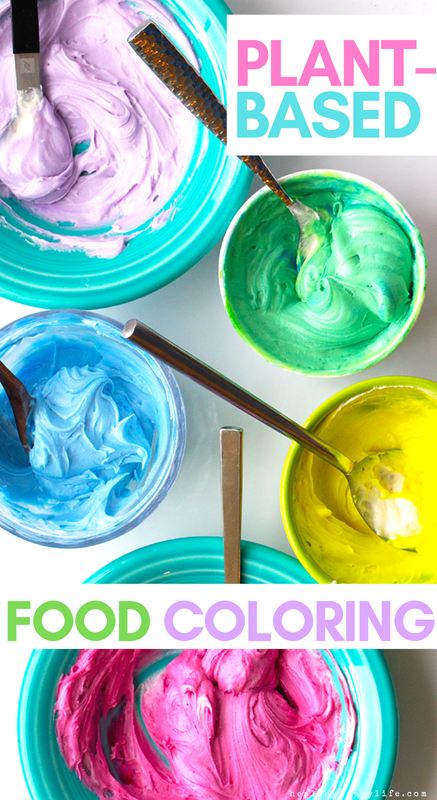 A good many years ago, I did a post about how to make your own natural food colorings using plants. 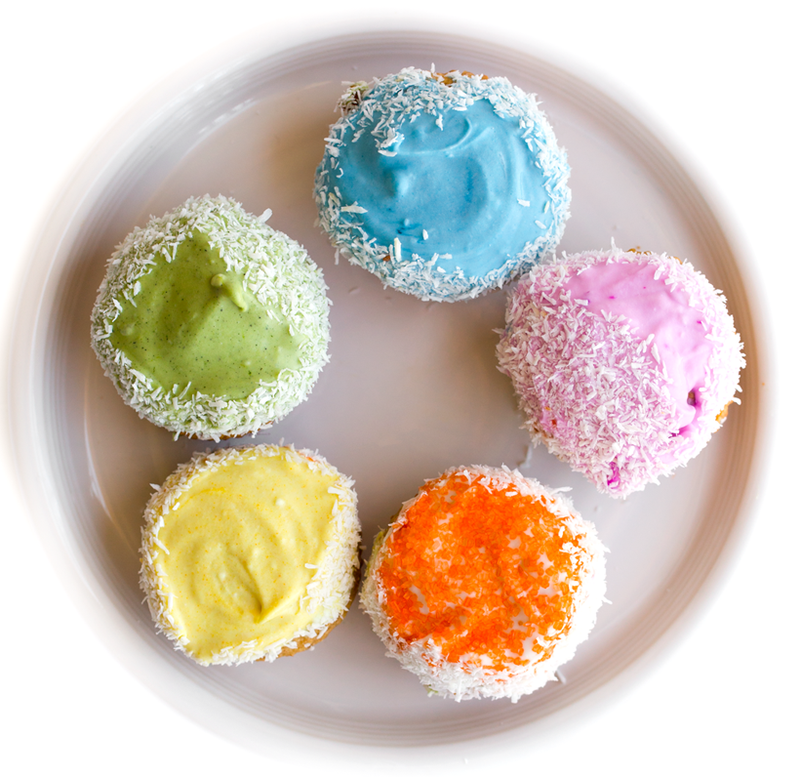 While that post absolutely still applies, these days it is even easier to use plants to create vivid colors in all your baked goods and even beverages. 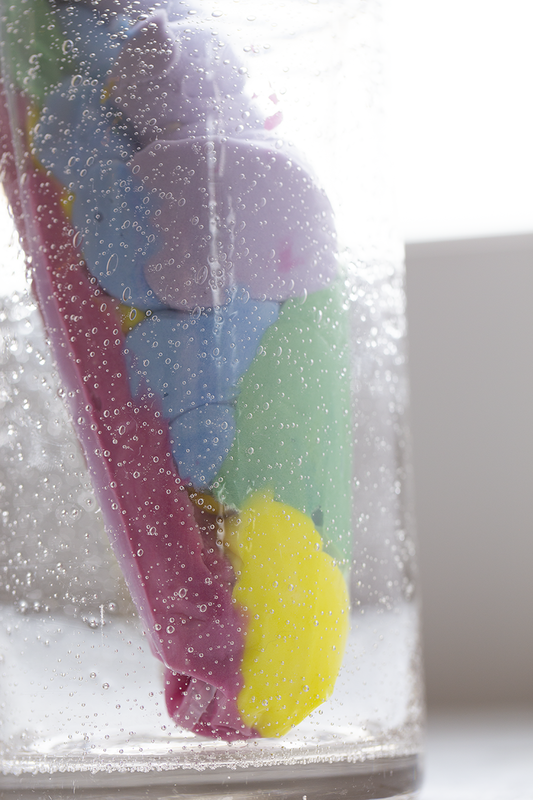 Ice cream, cake and cupcake frostings and even cake batters. 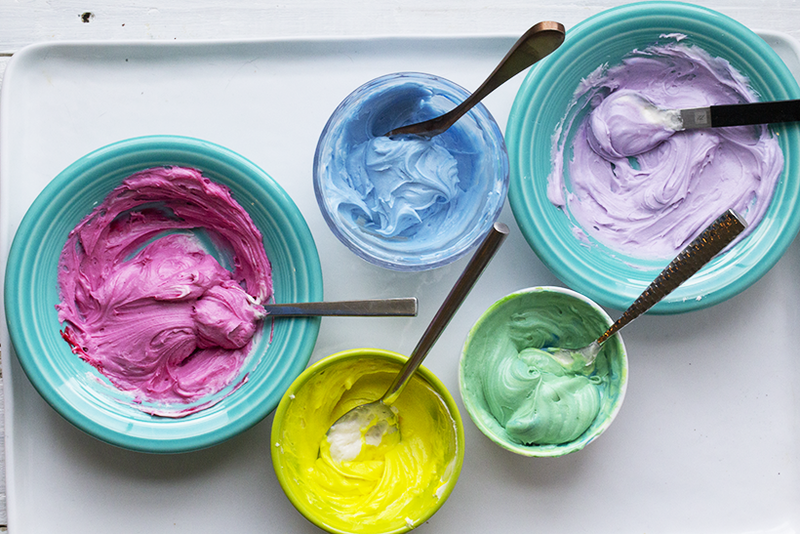 Vegan food colorings are bold and vibrant. And you can find them in stores and online! 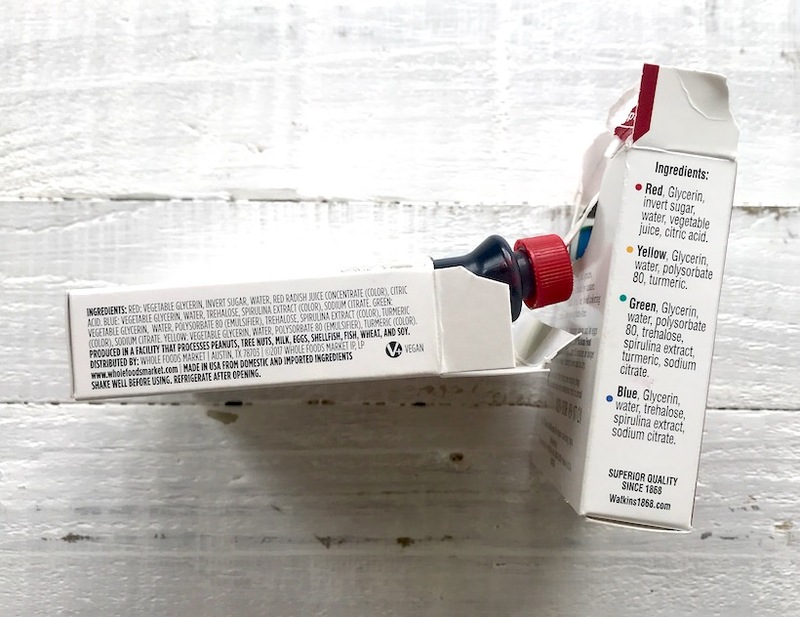 Many of the “big brands” are even producing all natural versions of their colors because they know the demand is there. 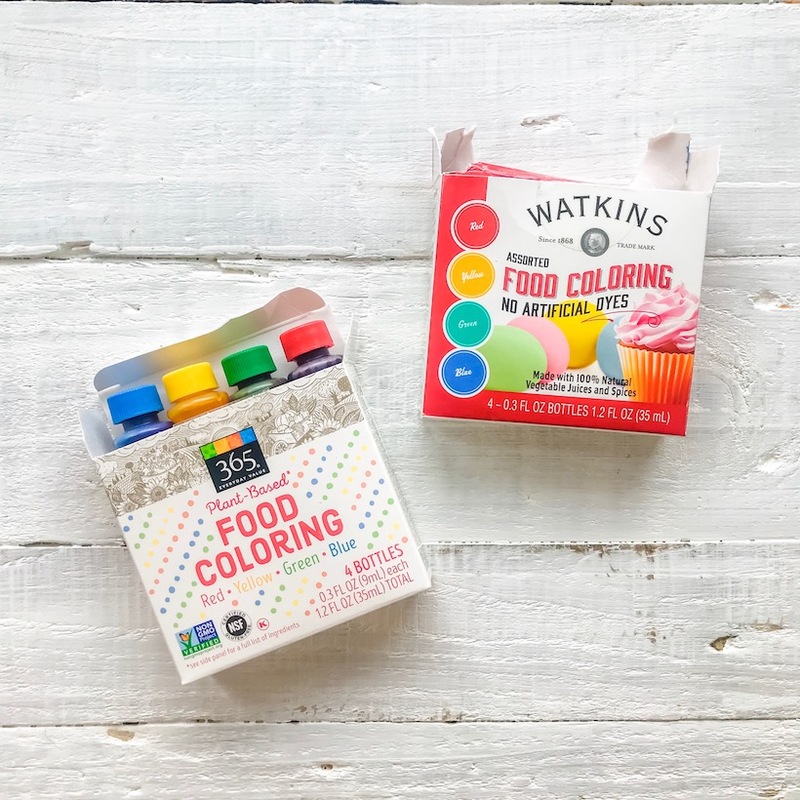 Or snag a box of vegan, plant-based food colorings to make al sorts of colors… Oh hello there gorgeous (plant-based) colored frostings..
– Carnival Mix Sprinkles – love these! 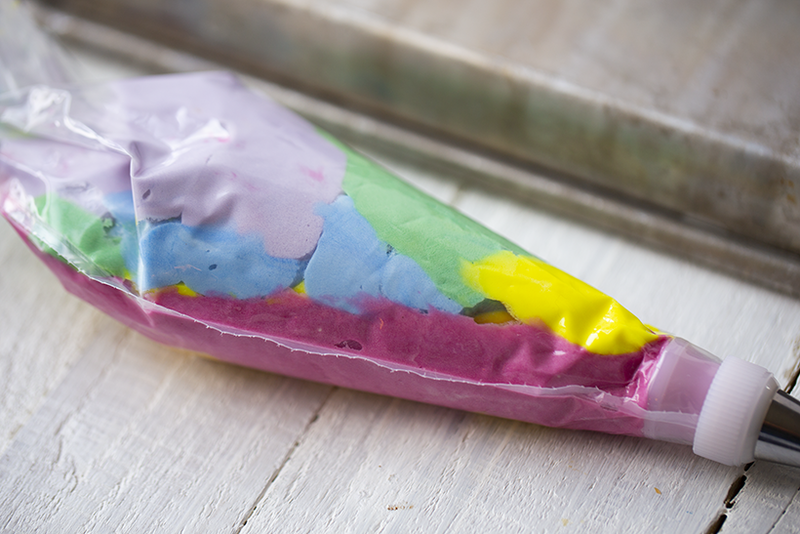 Those active colored ingredients are plants like spirulina, turmeric, beets.. 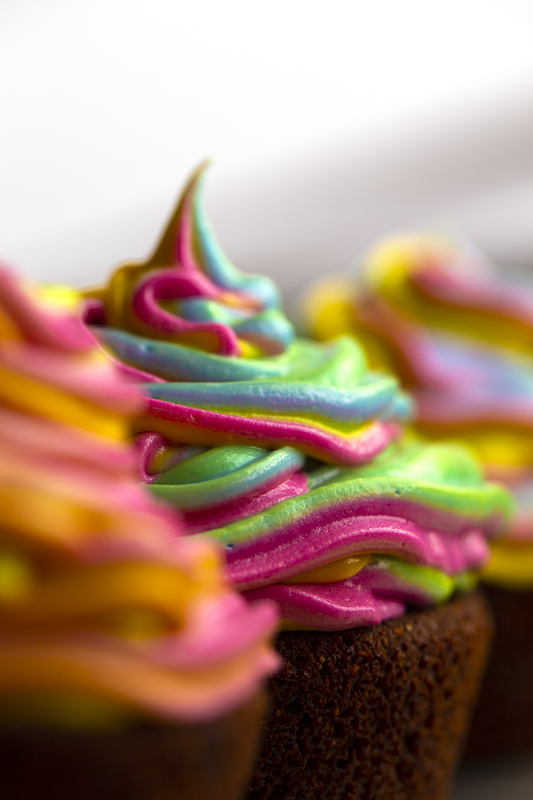 These cupcakes were my wacky chocolate cake cupcakes. 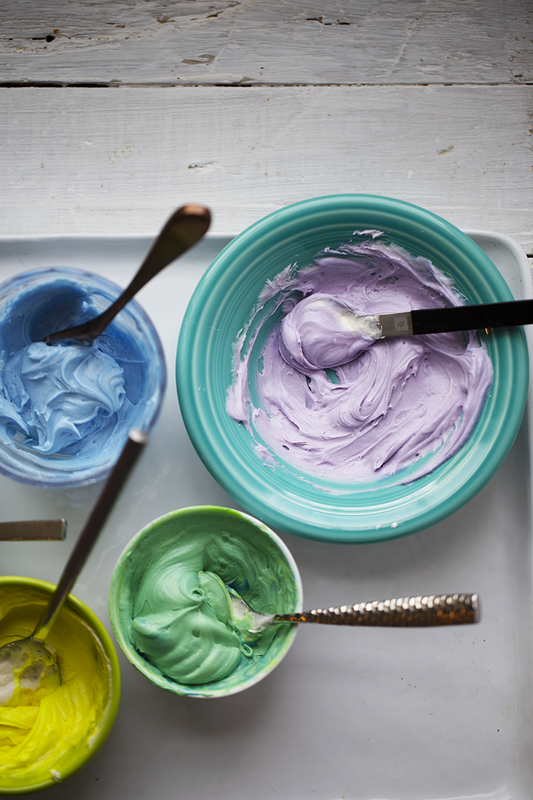 And here was my frosting made using these colorings. Note: I didn’t really find much difference between the two brands. They worked pretty much the exact same. 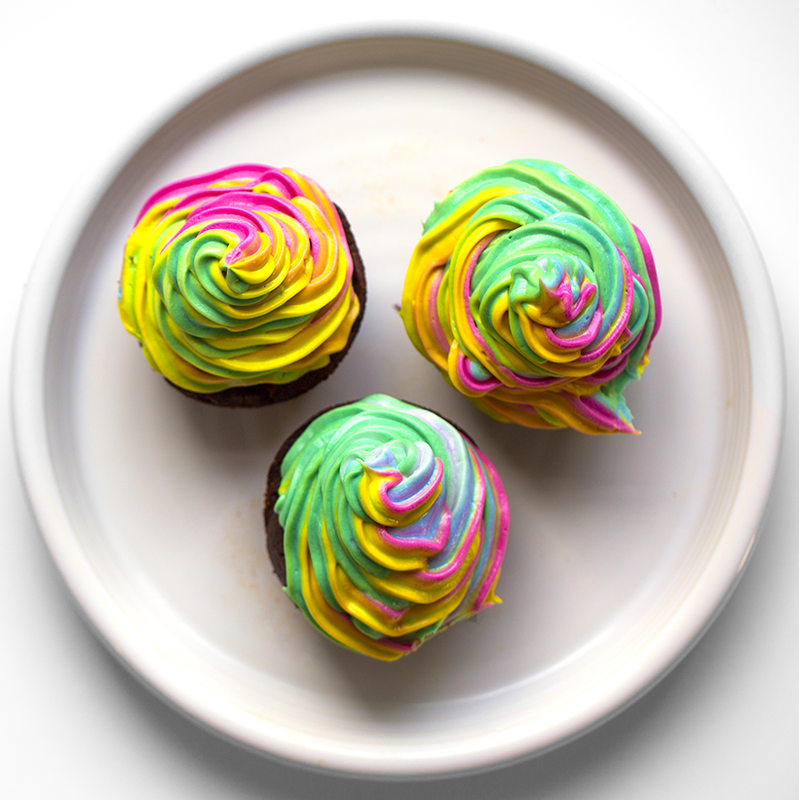 Rainbow Swirl Cupcakes. 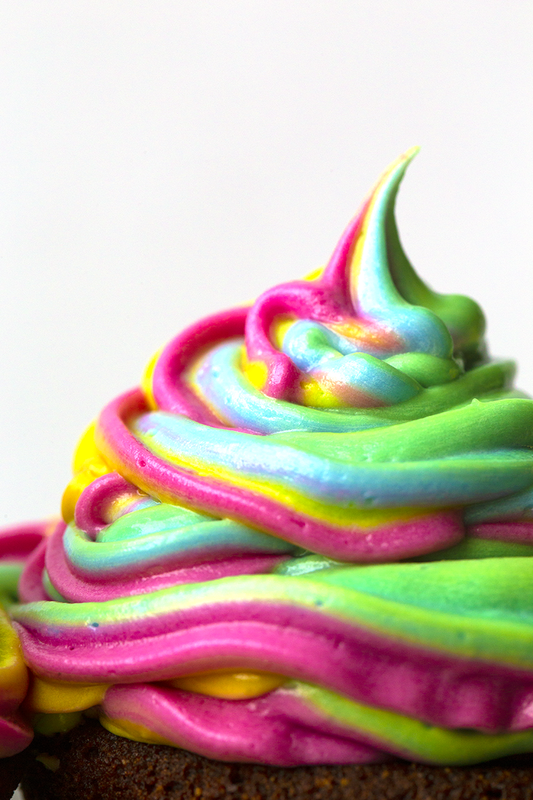 I added all the different colors to one frosting bag to create this pretty swirl. I’m not an expert in this technique by any means, and I’m sure you can find a good tutorial online to help you master this process. But it was pretty simple! 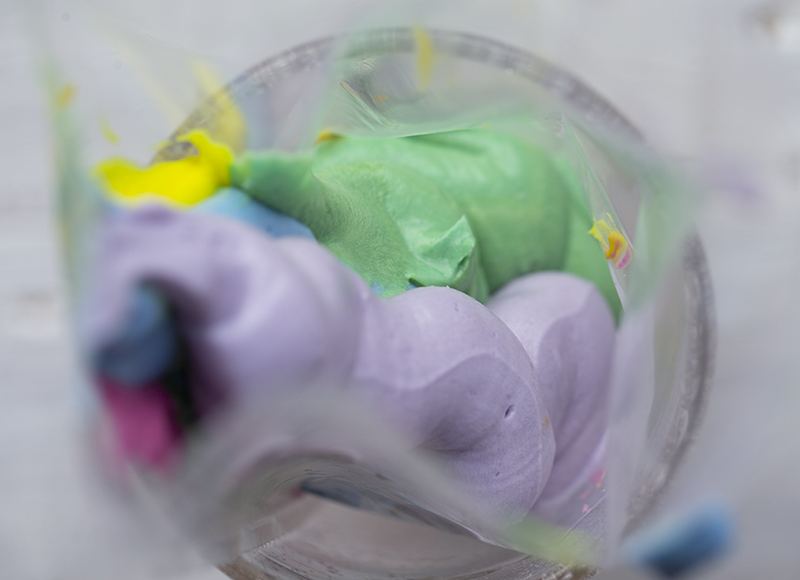 Just pie the different colors in tall towers in one bag and then swirl! This is a great tutorial by the bewitchin kitchen. 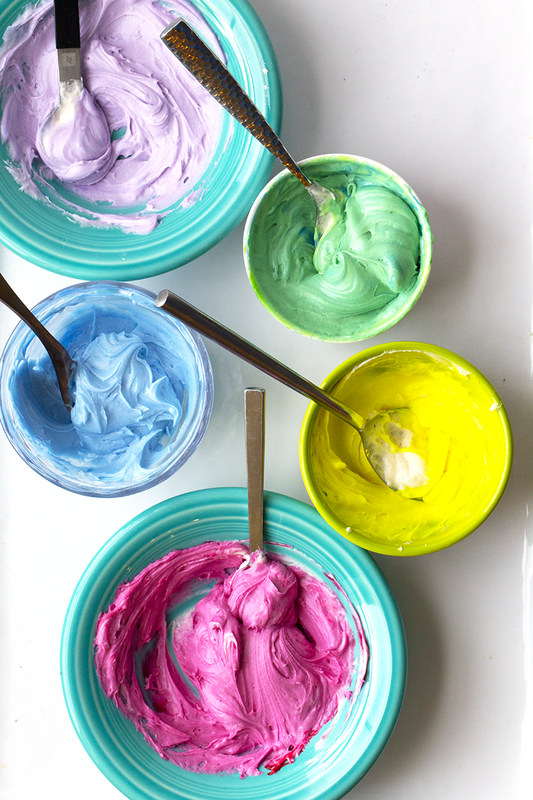 And once you have the colors, you can make all sorts of fun recipes! Like…. 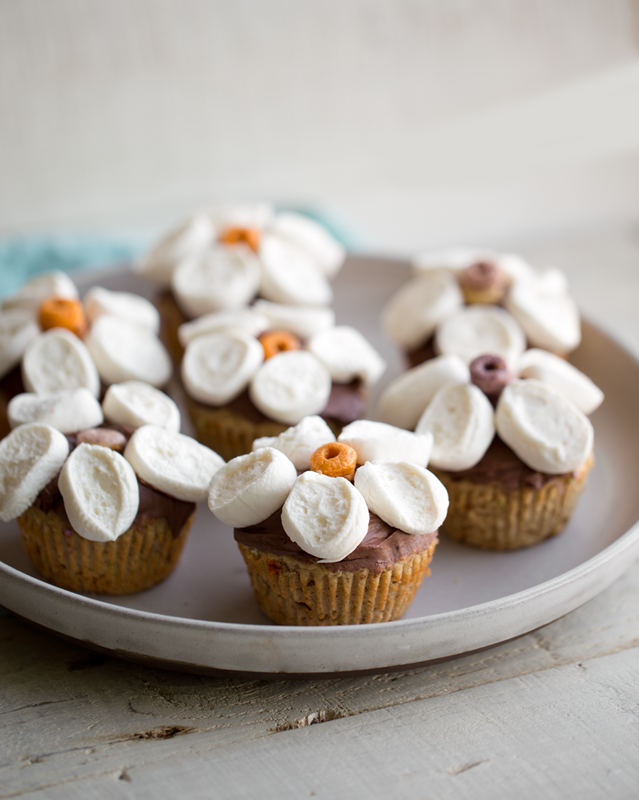 Flower Cupcakes – you could color the marshmallows with the food colorings to create pretty petals! 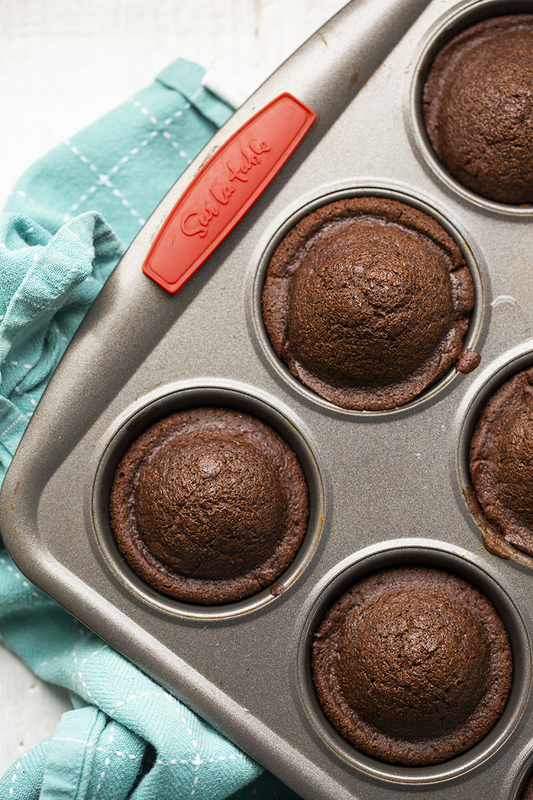 These chocolate cupcakes are READY for some pretty frosting on top! 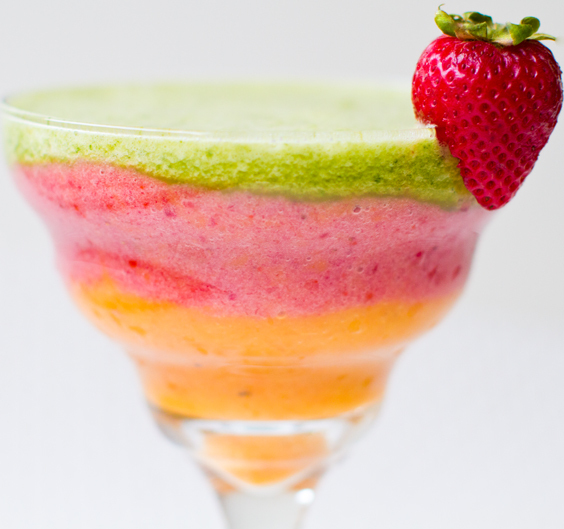 This Easter Smoothie uses fruit to create pretty colors! The red was very bold, and made using plants!! The yellow is made using turmeric, nice! 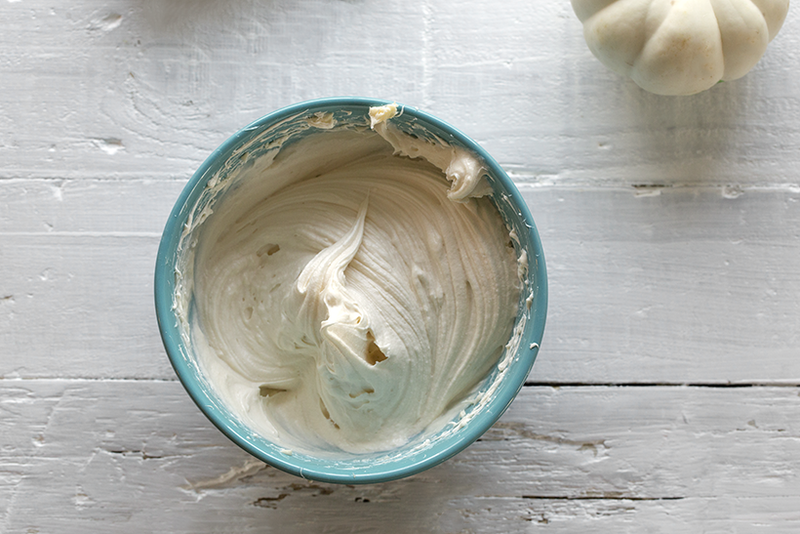 Need more recipes? 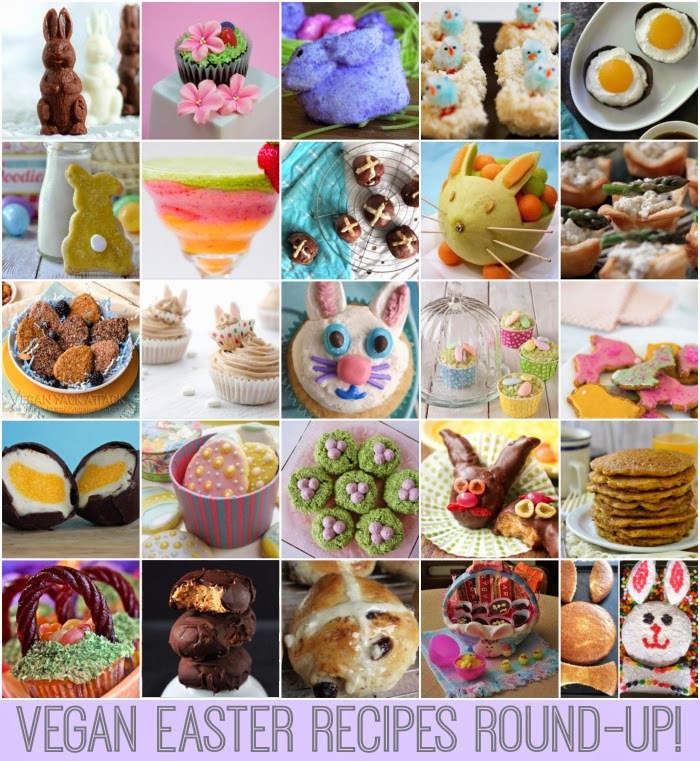 Check out this vegan Easter recipe round-up!..